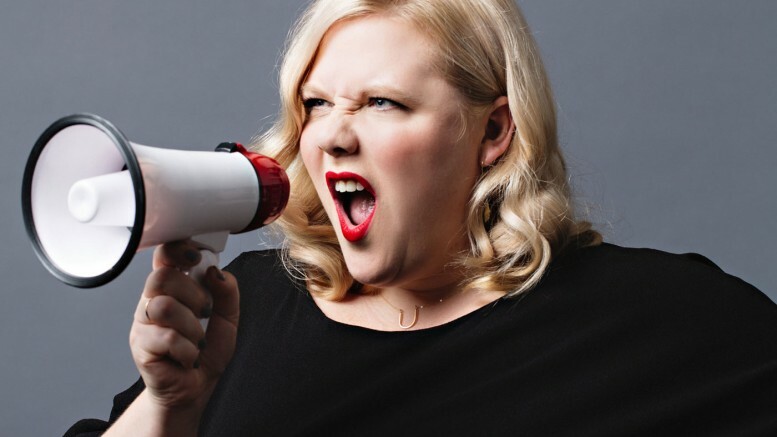 Anyone on Twitter who has ever mused the hashtag #tcot was earlier this week made aware of a feminist author by the name of Lindy West due to an extremely unusual online interaction. Most people with an opinion on the internet (i.e. literally everyone on the internet) is used to an occasional ideological tussle but Ms. West took matters into her own hands, not by imparting upon any attempts at communicating across philosophies, but by blocking the entire #tcot crew, and then some. Possibly using BlockBots that search Twitter for mentions of what West believes are “anti-feminist ideals,” both conservative leaders and every day tweeters awoke Monday to find themselves blocked en masse. Apparent trigger words for the blocking were “conservative,” “libertarian,” “Republican,” and other “non-leftist” phrases. They’re going to hate me no matter what I do. So either I have this sort of unsatisfying, wet blanket powerless feeling, or I take control of the conversation. Apparently taking control of the conversation is now synonymous with eliminating it altogether. West’s massive blocking took place shortly after the release of her new book “Shrill: Notes From A Loud Woman” which discusses feminism, pop-culture, and body image; a book that I might actually read despite being unable to discuss its contents with the author given that I, unfortunately, have been blocked by Ms. West. After all, the current cultural conflicts of feminism, political correctness, and health do extend across the aisle. West’s action caused considerable stir from conservative Twitter who spent Monday and Tuesday guffawing over who had and had not been blocked—that is, when we weren’t discussing elections that were ongoing, the big moves being made in the House, protests across America, and campaigns. In fact, the dialogue provided some much-needed comic relief during an otherwise hectic week. Liberal media, however, took Twitter comments to the same degree of a-bit-too-seriously as West, running headlines like “Fragile Conservatives Are Upset That a Woman Blocked Them on Twitter,” perhaps providing the free-publicity this stunt was intended to produce. Despite these argumentative articles, I and many of my conservative contemporaries are not as at-odds with Ms. West as she seems to think. It would be interesting to facilitate a bi-partisan discussion with her. Perhaps Republicans have just as much to learn from West as some may feel we have to teach her. Sadly, we’ll never know because that discourse has been prevented.